Also called a boiled dinner, this one pot meal is hearty and comforting, perfect for St. Patrick's Day. It is traditionally served with beets. 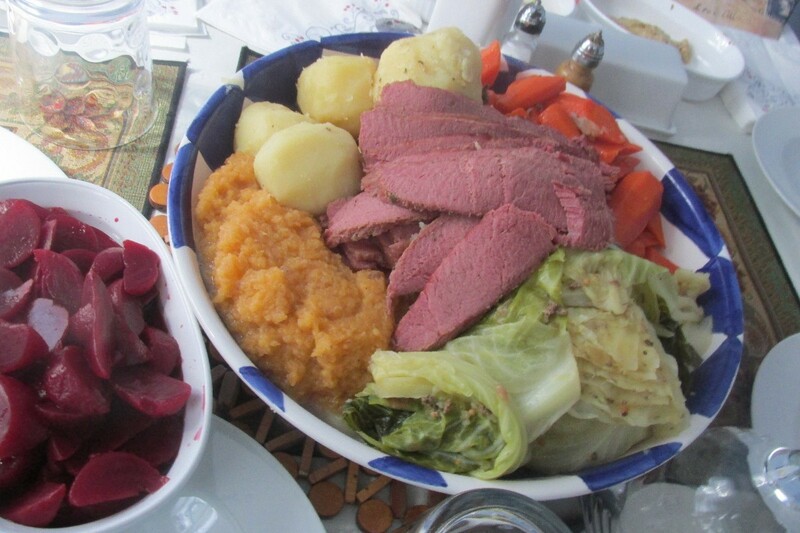 This is a guide about making New England corned beef and cabbage. I was born and raised in Boston. I am not Irish but on Saint Patrick's Day, everyone is Irish whether you are or not! 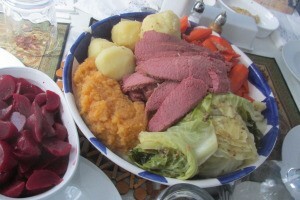 We grew up having a corned beef dinner with cabbage, potatoes, carrots, turnips and beets. It was a must. We always went to the Saint Paddy's Day parade and nearly froze to death. 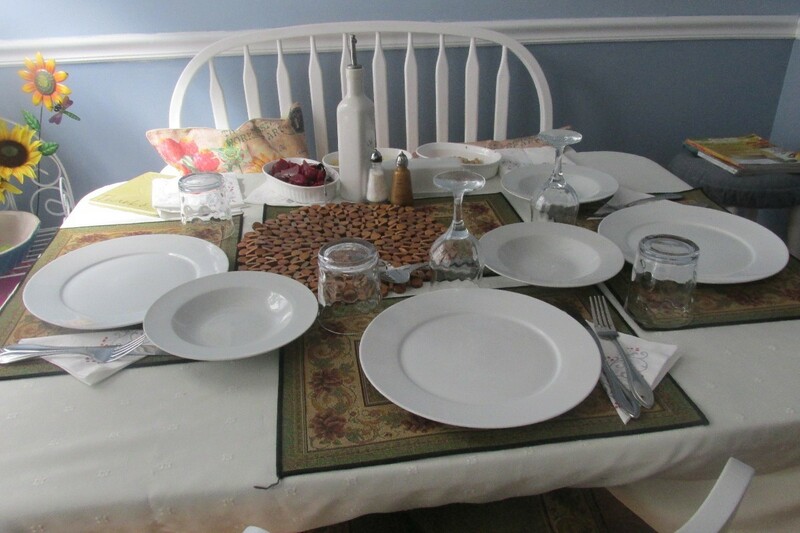 The next day Mom would take all the leftovers, combine them and make corned beef hash. It's the best! Put corned beef in a large pot of water. Add the spice pack that comes with it. Add thyme, rosemary, marjoram, dill, black pepper, and bay leaves. Let this boil for 1 hour, then add the turnip. Cook for two hours. Take out the turnip, put into a saucepan with 1 stick of butter and mash. Set this in a warm 175 degrees F oven until the rest of your dinner is cooked. Put the carrots in the pot water. Take out the corned beef after three hours. Let it cool. Then slice, using an electric knife if you have one. Take out carrots when slightly tender. Put in oven proof dish. Put in oven. Add potatoes until fork tender. Remove and add to the cabbage. When done remove. Using a nice large ceramic serving bowl, place potatoes on one side, carrots, turnip, and cabbage on the other. Lay the corned beef slices across the middle. In a side dish put a serving of pickled beets. This makes a perfect presentation. Serve with apple cider, brown spicy mustard and horseradish if you like. Even though I live in Indiana now I am still a New Englander. 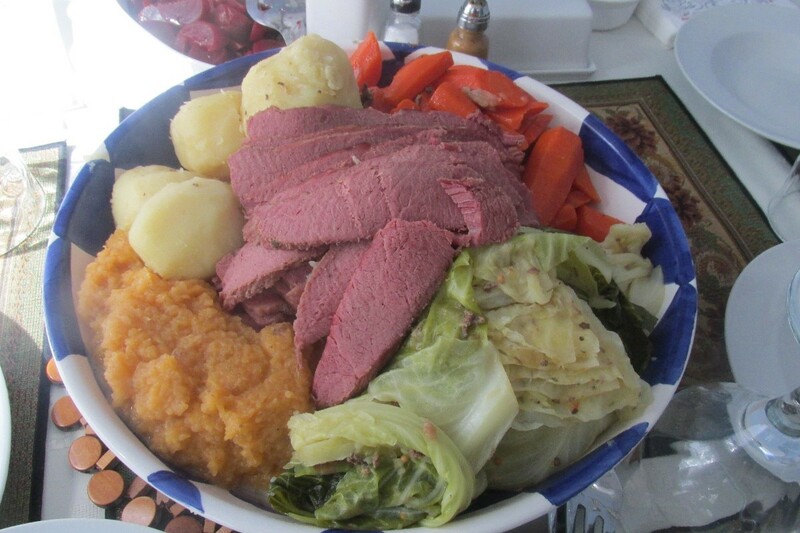 These dishes are traditional St Patrick's Day corned beef dinners. We only make them once a year so they are special. We make the hash out of the leftover corned beef the next day. Rinse corned beef under running water to remove the surface brine. Place in a large pot and cover with cold water. Bring to a boil; skim off any scum that rises to the surface. Partially cover the pot; reduce the heat and simmer until tender, 4-6 hours. If necessary, add more hot water to keep the meat constantly covered. When done, remove the beef from the pot; cover with foil and keep warm. When meat has been removed from pot, add parsnips, carrots, turnip, onions, and potatoes to the beef stock. Simmer for 15 minutes. Add the cabbage; simmer 15 minutes longer. Return the beef to the pot and reheat. Be sure when serving to slice the beef very thin. Use leftover corned beef to make corned beef hash. In large skillet, fry pork until crisp; remove. Add onion to the skillet and cook until tender; remove to a large bowl. Add potatoes, beef, salt, pepper and cream to the onion, mix well. Heat remaining fat in skillet. Add hash mixture; spread and press evenly in the pan. Cook, uncovered over medium heat until brown and crusty on bottom, about 35-40 minutes. Place a large, round platter over the skillet and carefully invert the hash onto the platter. Add poached eggs to top. Alternate method: Mash potatoes and mix with other ingredients omitting salt pork. Instead of cooking on a skillet, put mixture in a baking dish, cover and bake for 30 minutes in a 350 degree F oven.